I am originally from Collio di Vobarno, a small town of the province of Brescia, in the north of Italy, not far away from Lake Garda. After attending the Liceo “Enrico Fermi” in Salò (BS, Italy), I completed a Diploma di Laurea (equiv. BA) in French and English languages, literatures, and cultures at the University of Bologna (Italy); and then an MSt and a DPhil in French at Balliol College in the University of Oxford (UK). I have also been a pensionnaire étrangère at the École Normale Supérieure in Paris, rue d’Ulm, and an intern at UNESCO (Headquarters, Paris). Before joining the School of Arts at UNE, I held the Kathleen Bourne Junior Research Fellowship in French and Comparative Literature at St Anne’s College (University of Oxford, UK). Before that, I was a College Lecturer and the Interim Organising Tutor for French at Trinity College (University of Oxford, UK) for one year, and a College Lecturer in Modern French Literature at Balliol College (University of Oxford, UK). Most of my research so far has been aimed at revaluing the contribution of lesser-known poets, authors, and languages with the longer-term plan to achieve a fairer, more inclusive, and representative literary canon. My main research interests include nineteenth-century French poetry, especially by authors from the provinces of France, and the development of prose poetry. I am now undertaking preliminary research towards a new research project entitled Reclaiming Provincialism: A Transregional Study of Modern French Poetry. I am a member of the UNE Nineteenth-Century Studies Network. 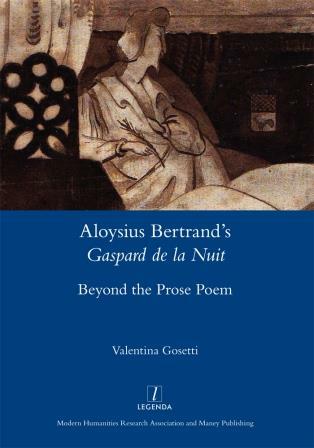 My monograph, Aloysius Bertrand’s ‘Gaspard de la Nuit’: Beyond the Prose Poem (2016), proposes a reassessment and contextualization of the Dijonnais poet Aloysius Bertrand’s posthumous collection of fantaisies in prose (1842), which has canonically been considered as the first collection of prose poetry in French literary history. I am also interested in Comparative Literature, French-speaking women poets, and poetry translation, especially into minority languages. 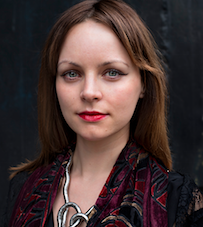 I am the creator of Transferre, a blog about translation of poetry in verse or prose, from any language into any language, standard or not, with a particular focus on endangered local languages. The idea is to encourage poetry in translation for the preservation and the promotion of minority languages. 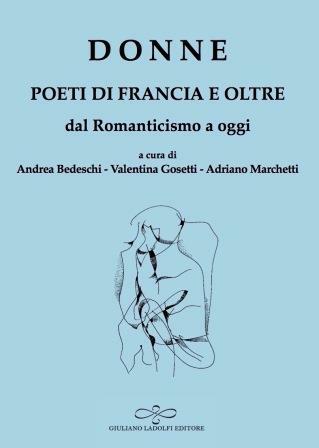 I have edited and translated, with Adriano Marchetti and Andrea Bedeschi, the volume Donne: Poeti di Francia e oltre dal Romanticismo ad oggi (2017), a bilingual anthology (French-Italian) of French-speaking women poets from Romanticism to today. I am very happy to supervise research projects related to my research interests. Gosetti, V. and A. Viselli (2018). L’« autoexotisme » des poètes provinciaux : une ruse dix-neuviémiste ? Le cas des Amours jaunes de Tristan Corbière, Romantisme, 181 (3), 47-61. Finch-Race, D. and V. Gosetti (2018). Destabilizing the Other in Baudelaire-Bertrand-Rimbaud, L’Esprit Créateur, 48 (1), 48-58. Gosetti, V. (2017). Auto-Exoticism with Promotional Purposes? Samuel-Henri Berthoud and Provincial Literary Ruse in Nineteenth-Century France. PMLA, 132 (2), 397–404. Gosetti, V. (2015). Between Representation and Imagination: The Promotion of Dijon in Gaspard de la Nuit, Dix-Neuf, 19 (2), 145–159. Gosetti, V. (2013). Le Provincial of Dijon: French Romanticism and Provincial Cultural Awakening. French Studies Bulletin, 34 (128), 53-57. Gosetti, V. (2018). French Press in the UK during the Nineteenth-Century: Typology, Readership, and Cultural Integration. In García Galindo, J.A. and López Romero, L. (eds). Los medios en lengua extranjera: diversidad cultural e integración. Granada, Spain: Editorial Comares, 95-104. In my free time, I write about culture and society for PEM, Treccani, the online magazine of the Italian Encyclopaedia of Science, Letters, and Arts. Here is my profile.